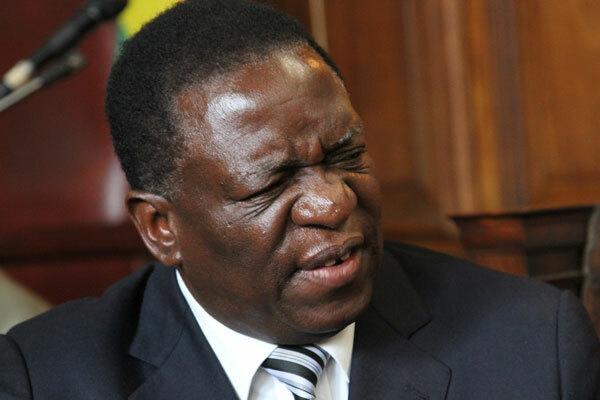 President Emmerson Mnangagwa has admitted that he deployed the army to carry out a brutal crackdown against opposition and civil society activists, which allegedly left 17 people dead and saw several women being raped by soldiers. Mnangagwa yesterday told a Zanu-PF rally in Masvingo's Mwenezi district that he was ready to deploy the soldiers again to quell protests against his rule being planned by the Nelson Chamisa-led MDC Alliance. "We saw them burning police cars and killing cops, where else have you seen that? But we said no, we do not need violence. We deployed soldiers to stop the protesters and they quelled the disturbances," he said. "Now they are planning more chaos, but we are telling everyone in the country that if you do not want peace, take part in the noise! "Those that want peace, stay at home, so that we deal with those that want violence. "We will sort them out. Those who come to you inviting you to the protests, tell them to pass, what you are saying has bad omens of Legion." Chamisa last week said although his party was not the one behind the January 14 protests that coincided with a Zimbabwe Congress of Trade Unions and #ThisFlag movement's three-day stayaway, they were ready to roll out protests against Mnagagwa. The youthful opposition leader rejected the Zanu-PF leader's July 2018 election victory and has vowed to step up pressure on the president until he orders fresh elections. Mnangagwa told his "Thank You" rally that he was aware of a plot to launch a fresh wave of protests against his government and threatened a more brutal military crackdown. "We have information that they are planning another disturbance. Let me tell the nation that those who want to join them, go ahead and those who do not want, I advise you to stay in your homes because we are going to deal with those who want violence," he warned. The president revealed that the government was hunting down human rights lawyers and doctors that assisted people that were arrested during the deadly army crackdown. "In Harare and Bulawayo violent protesters were preventing people from going to work and even burning buses. We don't want violence, so I said soldiers go and silence these people, they were silenced," Mnangagwa boasted. "In places like Bulawayo, they were moving around telling people to go and engage in violence. "They told them that if anyone gets arrested, they should go to a certain place, there are lawyers waiting to defend them "If anyone gets hurt, they should go to a certain place, there are doctors waiting to treat them. "We are now going after those doctors who were involved in those activities. "Those lawyers that were inciting violence, we are now going after them. So those who choose violence, we are prepared." The stay away turned violent and the army was unleashed on civilians resulting serious human rights violations. The Zimbabwe Doctors for Human Rights and the Zimbabwe Lawyers for Human Rights were at the forefront of providing assistance to victims of military brutality. He accused Western countries of trying to effect regime change through the opposition and non-governmental organisations. "Those who we fought during the liberation struggle, the whites, are still fighting so they can claim power again," he said. "They have certain people and organisations they are working with. Those groups and individuals are moving around the country influencing and leading people to be violent." Mnangagwa ordered villagers to report strangers to the village heads so that the Zanu-PF government could sniff out its enemies. "You know each other at every village, when strangers come, tell the leaders in your area, the village headman so we know the purpose of the visits," he said. "That is preserving peace. We should be on the lookout as our enemies are not resting, but ensure our eyes are always wide open. We will crush our enemies, and they are being crushed." European Union MPs last week recommended the tightening of sanctions against Zimbabwe saying Mnangagwa must stop the repression and return the country on a democracy path.